But never fear! 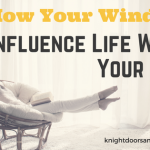 Here at Knight Doors and Windows, we have you covered! 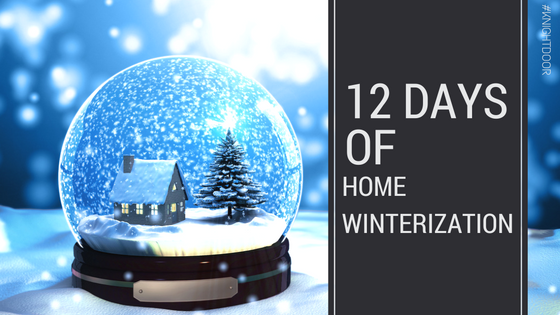 Here is your 12 Days of Home Winterization checklist! Keep your windows looking their best and let in natural light throughout the winter by giving your windows a good scrub. When washing, make sure to inspect the panes and frames to chek for cracks or caulking damage. Applying caulking and weather-stripping to windows and doors can help prevent air leakage during the winter months. It will also help make your home energy efficient and will increase your energy savings. Programmable thermostats are a great addition to any home. If you don’t already have one, you should consider investing in one. You can program it so that your house is warmer when you’re home and cooler when you are at work. You can even ensure you come home to a warm house after a hard day at work! What beats a cozy, roaring fire on a cold winter’s day? Nothing! Gas fireplaces are an energy-efficient heat source with a modern twist. Why wait until spring to clean out the mess? Cleaning leaves and plants out of your gutters before winter hits means you don’t have to deal with it once it melts. Once you have cleaned your gutters, make sure to flush them with water to make sure they are 100% clear. You wouldn’t believe how many mice and rodents can take refuge in your home during the winter months! Mice and rodents can chew on insulation, causing air leaks in your home. To avoid this, set traps baited with peanut butter or other food source and place them in your attic, basement, and around pantries. It’s a good idea to have your furnace inspected once a year, and even more so to have it done before the cold season hits. If your furnace is clogged or isn’t running properly, it can increase your heating costs throughout the winter. Now that you’ve had your furnace inspected, don’t forget to change out the filter! Your filter should be changed regularly to avoid extra heating costs. Make sure to buy a few to get you through the winter months! Don’t forget to insulate your doors and windows this winter. Grab some sealant foam and help keep your home warmer this winter. Don’t forget to check your pipes for hidden cracks while you’re at it! Make sure your home is airtight. You can never have too much insulation, especially during our cold Canadian winters. Make sure to check your attic and basement to ensure they have at least a foot of insulation. If not, you can always apply extra insulation. Ensure to insulate around your pipes, too, to keep them from freezing. Because the days are shorter, we tend to consume more electricity in the winter due to leaving our lights on longer. Switch to Energy Star certified light bulbs to keep your costs low. Don’t forget to change your indoor AND outdoor lights! Now that you’ve made sure the rest of your home is ready for winter, do you know if your doors and windows are ready? By installing energy-efficient doors and windows, they not only keep your home warmer in the winter, but cooler in the summer as well. 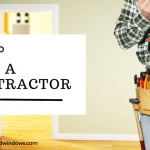 Purchasing new doors and windows is one of the most effective ways to winterize your home! If you have any questions about home renovations or repairs, contact us today!